See our TBS Mitzvah Day Wishlist Tab to learn what items you can donate to make Mitzvah day a success! Order your Mitzvah T-shirt today! Deadline is March 12th, cost is $10 each and are pre-sale only! Please consider donating one or more items to help make Mitzvah Day a success. Items can be dropped off at the TBS front office. Unfortunately I will be in the hospital and can’t volunteer . Otherwise I would . Surgery two days prior . Sorry . Sorry to hear you need surgery. I hope you heal quickly . I look forward to crocheting for Knots of Love on Mitzvah Day… and invite anyone whose ever said “I’d like to learn to do that someday” to come and join us. That would be a double mitzvah… learning all the different ways you could support K.O.L., plus learning something new for yourself! Olga, Its not necessary to RSVP for the on-site events, but thanks for letting us know. We’ll see you there! Looking forward to making beaded eyeglass holders that day! Thank you, Elyse! I appreciate you taking on this fun, important project! Ordering supplies this week! Thank you to everyone who has signed up to participate in Mitzvah Day. 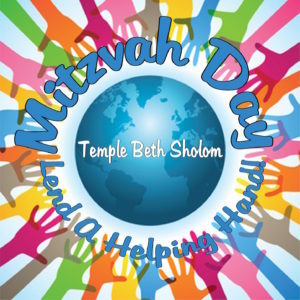 We are still in need of many items needed to help Mitzvah Day a success. Please see the items listed under the “TBS Wish List” to help support this wonderful day. Donated items can be left at the front office. THANK YOU!! !